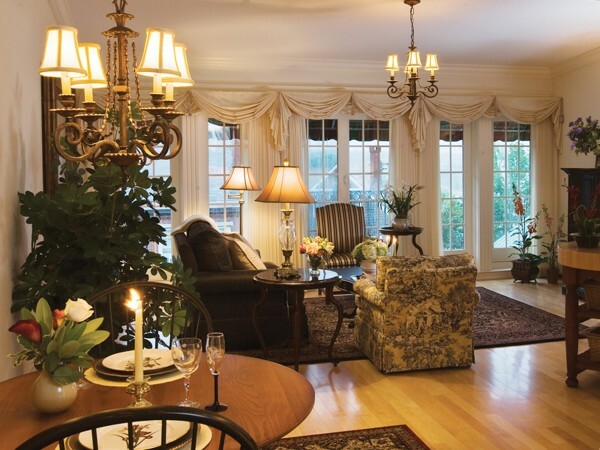 A suite at the White Barn Inn in Kennebunkport. The White Barn Inn in Kennebunkport. A view of the living room in the Belfast Bay Inn's Room No. 301. This room carries the highest rate of $388 at the inn during the summer. An exterior view of the entrance to the Belfast Bay Inn on 72 Main St. in Belfast. Belfast Bay Inn's well-appointed Room No. 301 room carries their highest rate of $388 during the summer. Raymond Brunyanszki shows the bedroom of a luxury suite at the Camden Harbour Inn. 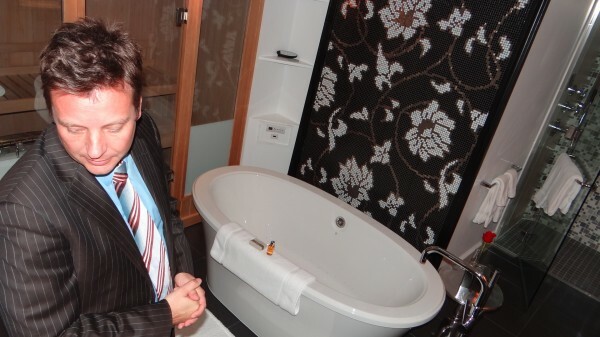 The bathroom of a luxury suite at the Camden Harbour Inn features a sauna, Jacuzzi tub and steam and rain shower. Raymond Brunyanszki gives a tour through the living room of a luxury suite at the Camden Harbour Inn. The suite goes for $985 a night in the summer. 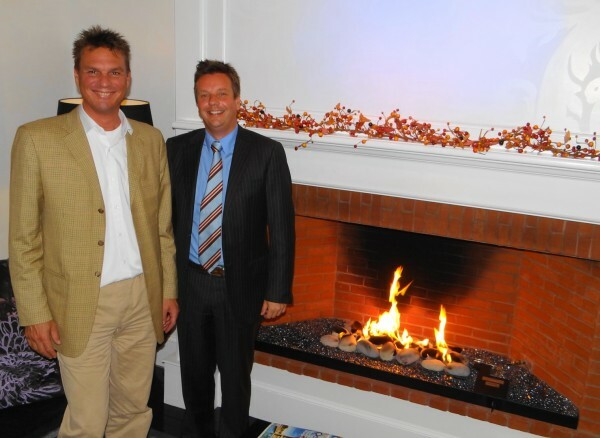 Raymond Brunyanszki and Oscar Verest are the owners of the Camden Harbour Inn. CAMDEN, Maine — Raymond Brunyanszki has a simple explanation for why the Camden Harbour Inn is charging close to $1,000 per night for its high-end suites. It’s because there are travelers who will pay that much. It’s not a matter of gouging visitors or overhyping the inn, Brunyanszki said. It’s just that there are people who pay that much to stay in luxury hotels in Europe, New York and Southeast Asia, so why not provide the same amenities in midcoast Maine as they get in those other places? Greg Dugal, executive director of the Maine Innkeepers Association, acknowledged the soundness of that business strategy. If Maine can land even a small segment of the high-end travel market, it could provide growth for the industry and bring new dollars to the state, Dugal says. Though the Camden Harbour Inn may be the first in Maine to reach the $1,000-per-night plateau, according to an informal survey, some other inns and hotels are fast approaching the four-figure threshold. Brunyanszki and his partner, Oscar Verest, moved to Camden from their native Holland a little over five years ago, purchased the property on Bayview Street in Camden, and opened the Camden Harbour Inn and Natalie’s restaurant. Brunyanszki had worked as a hotel consultant, and when he and Verest decided to open the inn in Camden, they visited hotels worldwide to get a fix on what elements are important to making a stay perfect, and worth the price. The two suites they began offering for $985 a night earlier this year capture those elements, they believe. The proof is that they have been consistently booked through the summer months and reserved for weekends into the fall. The men are confident that trend will continue through the winter, since the 20-room inn has been consistently booked in past years. 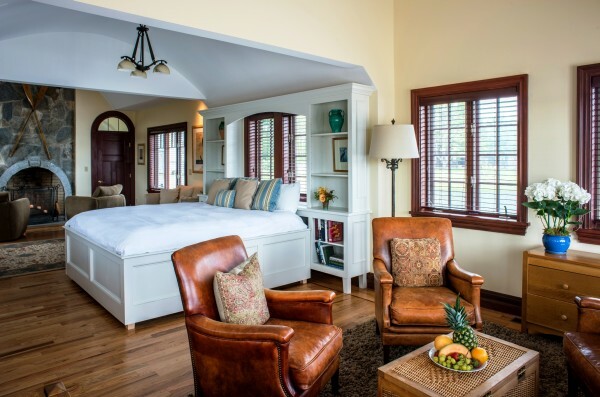 The luxury, spa suites on the inn’s second floor are indeed packed with amenities. There are three flat screen TVs, including one that hangs in the bathroom where it can be viewed from the Jacuzzi tub and the color-therapy sauna (different colored lights can be selected to satisfy a variety of health and mood needs). The bathroom also features a rain-and-steam shower. The bedroom’s eclectic style looks like it might be in a chic, urban apartment. There’s a handmade headboard and ceiling fixtures that pinpoint light on a small part of the bed, allowing one person to read while the other sleeps. There’s also a walk-in closet. The suite’s living room features a gas fireplace that is visible in the bedroom, a not-so-mini bar with drinks and snacks, a large flat screen TV and a couch. Surprisingly, the room’s style is not that of a cozy old New England inn. Instead, the room reflects sophistication and modernity. The style is Royal Dutch, as Brunyanszki puts it. Brunyanszki and Verest also analyzed the traveling experience from the view of the traveler and made changes such as cutting the check-in process down to half a minute. They also train staff to see whether guests want to be fussed over or given maximum privacy. Camden is the right place to offer such high-end accommodations, the men believe. Whether other hotels and inns can command top dollar for luxury suites may be tied to their location. Eddie and Judy Hemmingsen used to operate the Bluenose Inn in Bar Harbor, one of the most prestigious hotels in that community. 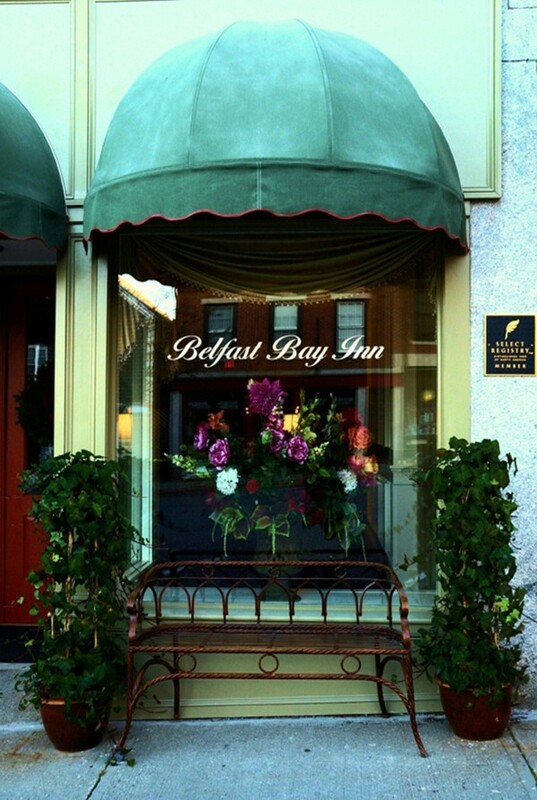 They now own and operate the Belfast Bay Inn, an eight-room hotel on Main Street in Belfast. On a weekend night in summer, the hotel’s best suite, at 1,200 square feet, goes for $388. Meanwhile, in Bar Harbor, the Blue Nose Inn gets $499 for its best one-bedroom suite, the Bar Harbor Inn’s best one-bedroom suite goes for $479 in summer and The Harborside has a room that will cost $809 next summer. Southern Maine also has its gold coast. 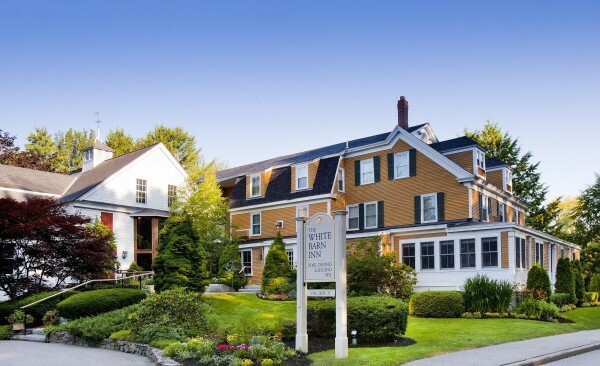 The best suite at the White Barn Inn in Kennebunkport goes for $950 a night on a summer weekend, according to Paul Hanley, CEO of U.S. Hotels, the company that owns and operates the inn and eight other properties. Hanley believes the White Barn Inn “is the first in Maine to cater to high-end travelers,” and has been doing so for 15 years. The inn’s guests — and many return — span different age groups, and hail from all over the U.S. and world, he said. “The thing they have in common is they’re really focused on a luxury experience,” Hanley said. “The elements include location, architecture, interior design, charm, cuisine and amenities.“ Referring to the cuisine, Hanley pointed out that the inn has its own on-site five-star restaurant. Having an acclaimed restaurant in Natalie’s helps the Camden Harbour Inn, Brunyanszki said. Another amenity the inn relies on is the nearby “executive” airport, Knox County Regional Airport in Owls Head. Private jets are a common sight there, and Brunyanszki said guests often arrive via that airport. The small-town charm also is an ally in marketing to the high-end visitor. “They like the easy atmosphere up here,” Verest said, “the friendliness and the beauty.” Camden is a place “where you can walk out your door and leave it open,” he said. In stores, there are no lines. Combine fine lodging amenities with a small-town feel, and you’ve got “the perfect blend,” Verest said. Dugal of the innkeepers association said “the whole ‘safe’ thing is really big for the traveling Maine consumer,” an observation confirmed by surveys. Dugal also noted that hotels in Portland have pushed their rates higher this summer, a sign that catering to high-income travelers is a niche with room for growth. Hotels and inns only need to refurbish a few rooms, perhaps making two into one and adding amenities, he said, to be in the game. “I think in the end, everyone wants to be taken care of,” Brunyanszki said.